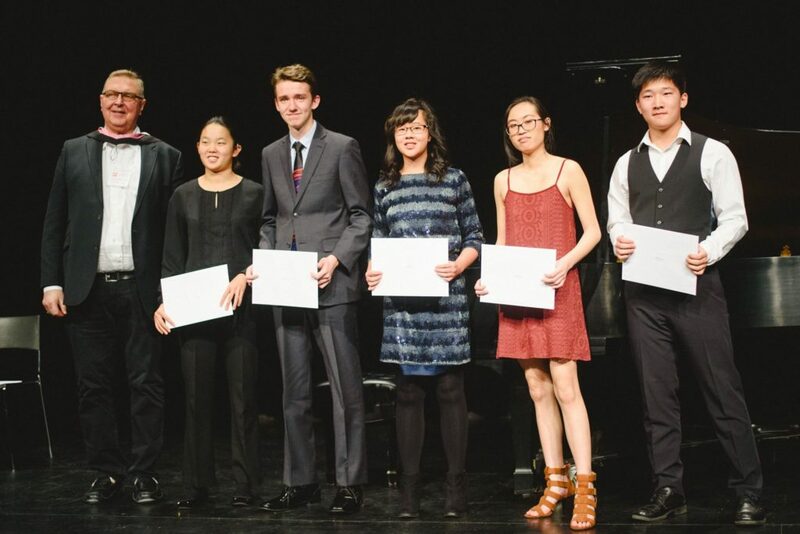 The revenue from two special endowment funds invested with the London Community Foundation has enabled Conservatory Canada to offer Travel and Study Scholarships to the top examination candidates in piano and voice in alternating years. These scholarships allow talented young performers the opportunity to travel to London, all expenses paid, for a weekend of intensive study with renowned performers and teachers. The voice scholarships have been made available through the Lillian and Don Wright endowment funds; the piano scholarships have been made available through the Caroline Conron and Marguerite Geiger endowment funds. 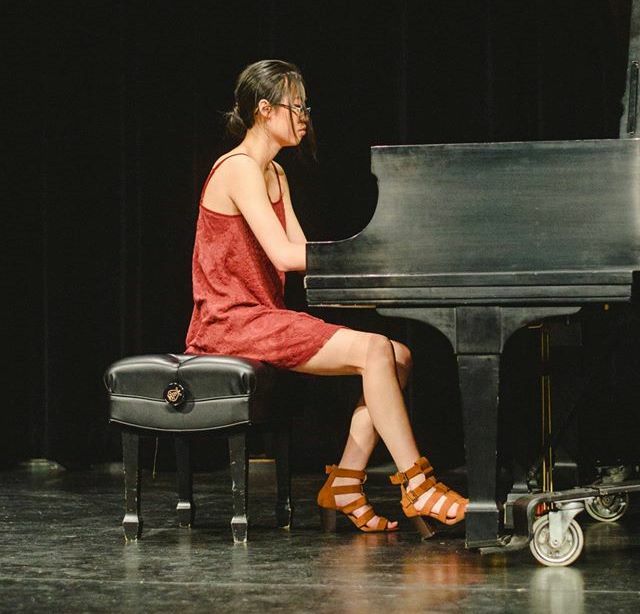 Selena Zou is a Grade 10 at the Lisgar Collegiate Institute in Ottawa. In addition to studying piano, Selena swims competitively, practicing five times a week, and she coaches for her school’s swim team. With regards to piano, Selena thinks it has done a great deal for her in terms of concentration, discipline, and most of all, appreciation for beauty and the work composers put into their pieces. Her favourite composers are Bach, Beethoven, and Liszt (she feels that it’s hard to even narrow it down to three) because of their supreme skill and mastery when it comes to harmonizing melodies, both simple and complicated. For example, the famous second-movement melody of Beethoven’s Pathétique sonata is very simple, but it is the accompaniment and genius modulations that make the piece what it is. Overall, piano and music are one of the things that Selena says she would never give up for the world — they are what makes life so worth living. Olivia is a grade 10 French immersion student who resides in Coquitlam, BC. She began playing the piano at the age of three with the Music for Young Children program. 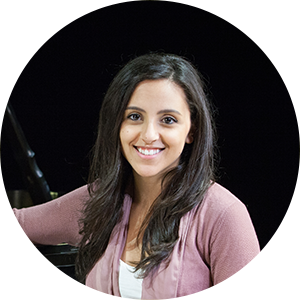 From there, her interest in the piano continued as she has taken private lessons for the past 12 years. 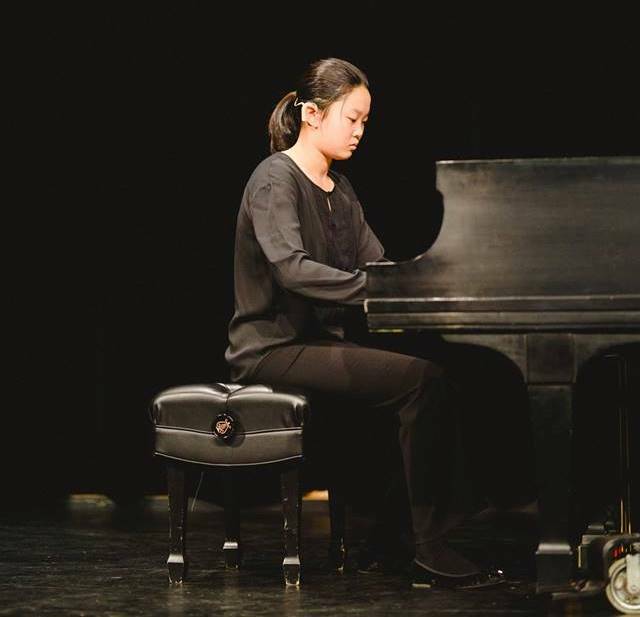 She received Classical Medals for Excellence for her grade five and six piano exams and she is currently working towards her grade nine classical piano exam. 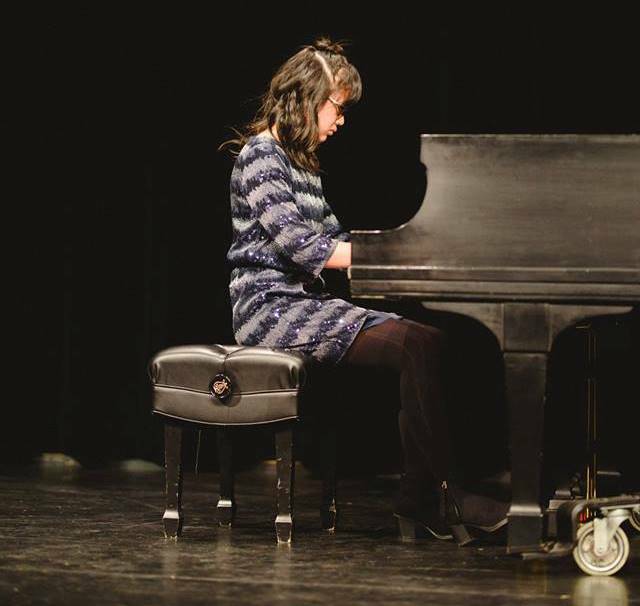 Outside of her piano studies, Olivia has participated in the school band in both middle school and high school. She also enjoys playing clarinet, violin and guitar in her free time. She loves to be surrounded by music and listens to a wide variety of genres and artists. She is also on a soccer team and is training to become a lifeguard. Eric Lee is a grade 10 student attending Colonel By Secondary School in Ottawa, Ontario. Eric is currently enrolled in the International Baccalaureate program at Colonel By, and hopes to pursue a future in the field of engineering. He has been learning to play the piano under his teacher, Catherine Donkin since the age of 6, and has been enjoying the experience immensely. 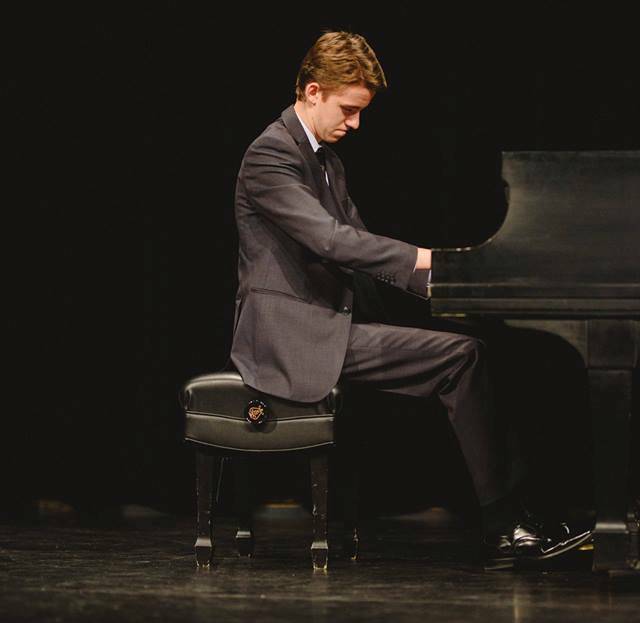 In the past, he has attended various competitions such as the Kiwanis Festival and the ORMTA competition. Other than the piano, his pastimes include playing the flute, track and field, as well as taekwondo. David Girt is a 15 year old student from London, Ontario. 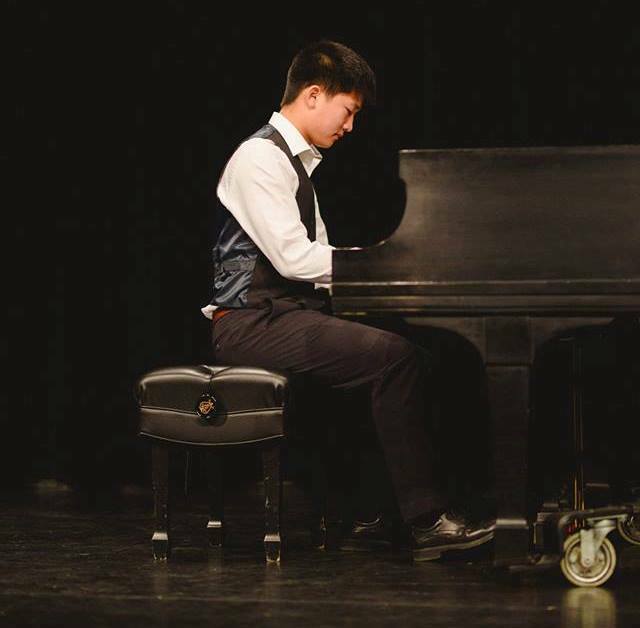 He’s been studying piano for nearly 10 years and recently completed his grade 10 piano examination (August 2018). Today, David studies with world renowned concert pianist Clark Bryan. In addition to practical examinations, David is a regular in the annual Kiwanis Music Festival, winning multiple awards and trophies for his performances. Through piano, David has also become an accomplished Sound Technician, assisting at the Grand Theatre (HSP 2018, Prom Queen:The Musical) and on multiple occasions at the renowned Aeolian Hall, most recently for the Aeolian Talks political debates. David has also achieved the Bronze Level of the Duke of Edinburgh’s International Award. Through the Award program, David has become an active volunteer and friend throughout his community, frequently assisting his high school with assemblies and music nights. When David is not busy practicing piano, he enjoys researching new job/volunteer opportunities and different sound/lighting innovations. Through his work throughout the city as a Sound Technician and as an aspiring pianist, David has grown a high level of appreciation for the arts and culture and loves sharing music with others. His favourite composers/artists include: Max Richter, Hans Zimmer, Debussy, and Chopin. David is eager to continue his studies in piano and grow a career in the music industry in the future and looks forward to meeting new people and hearing different styles of music.